Following along with me on Instagram? Then you know this is what I wore to go shooting. That's right! I decided to mosey on over Coyote Valley range and shoot some clay pigeons. I started pretty slow (it's a very big gun), but eventually got the hang of it. I did manage to shoot two clays! Next up, an actual gun range. Shot guns are cool and all, but I can't imagine ever owning one, so I should work on my aim with a more realistic piece. And yes, I am a liberal with just about every bone in my body, but I'm a total proponent of the 2nd Amendment. I wore this Shabby Apple dress because I was really inspired by the drop waist design. I've always wanted a drop waist dress, but most of them looked frumpy. 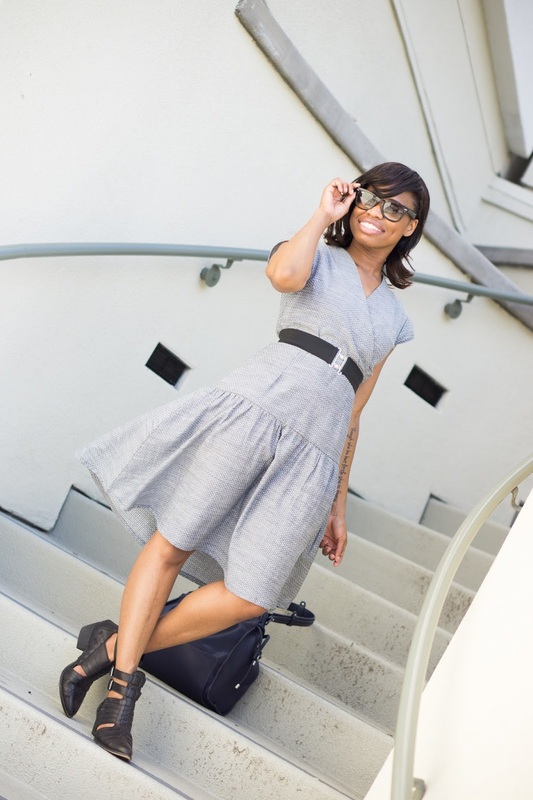 This Outback dress from Shabby Apple is anything, but. It fit like a charm and totally made me feel like Annie Oakley. If you're in the mood to add some dresses and skirts to your spring wardrobe then check out Shabby Apple. I've got my eyes on this skirt next! Ready for the giveaway? I've teamed up with a handful of lovely bloggers to help you stick to your resolutions and get bikini ready with Lululemon. Is your trusty workout gear worn out? Do you need some motivation to get started? We're here to helo you get bikini ready for spring! Use the Rafflecopter below to enter for a chance to win a $500 Lululemon gift card, on us! The more entries you complete, the more chances you have to win! This giveaway is open internationally. Be sure to check out the hosts below. Good luck! This giveaway ends Sunday, March 29. Love that dress, it would be great for work too. Love the length. The dropped waist on the dress is definitely fun! Ooh and the clay pigeon shooting sounds interesting. Let us know if you go to a range. I would totally want to try it out and see if my aim is any good! Let's talk about this dress though! 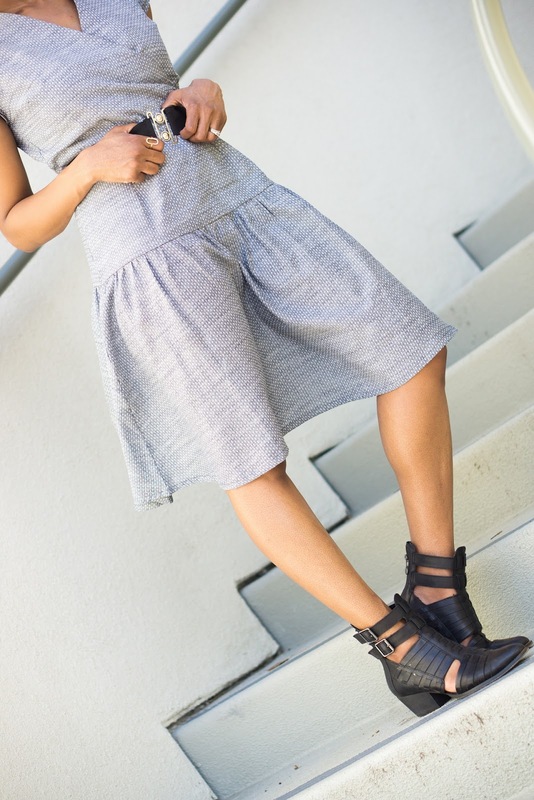 It is gorgeous, it has a linen look to the texture and I love the shoes you paired it with! Love how you wore this dress to go shooting!! Talk about girl boss! You look great Cheryl! Great outfit, dear! I LOVE that you dressed up to go shooting. Your shabby Apple Outback Dress looks comfy and stylish. It's nice that you had fun shooting at clay pigeons. It's a little different from target shooting. Do you use some earplugs or ear protectors? I hope your shoulder didn't get too sore. I'm sure you'd look pretty in that Shabby Apple Waltzing Matilda Ball Skirt. I am LOVING that dress on you girl! So perfect for Spring!